Check out our new Hydro-Lux cooling system. To demonstrate the sheer power of the Cryo-TEC system, we let it sit for 10 minutes. 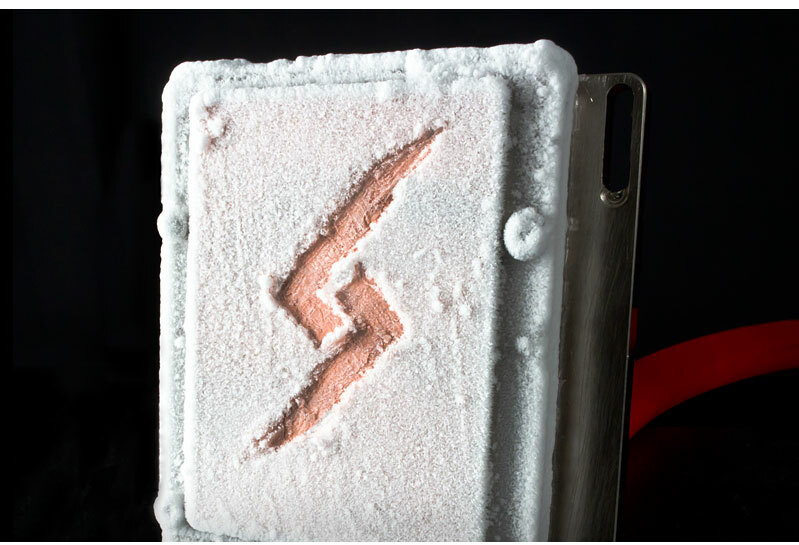 A thick layer of frost began to form as the thermo-electric cold plates dropped the temps on the copper side below 0°C! Don't worry, the CPU socket is fully insolated from condensation. By placing the CPU in direct contact with the thermo-electric cold plates, the Cryo-TEC system is more efficient in lowering processor temperatures below 0°C and increasing performance. 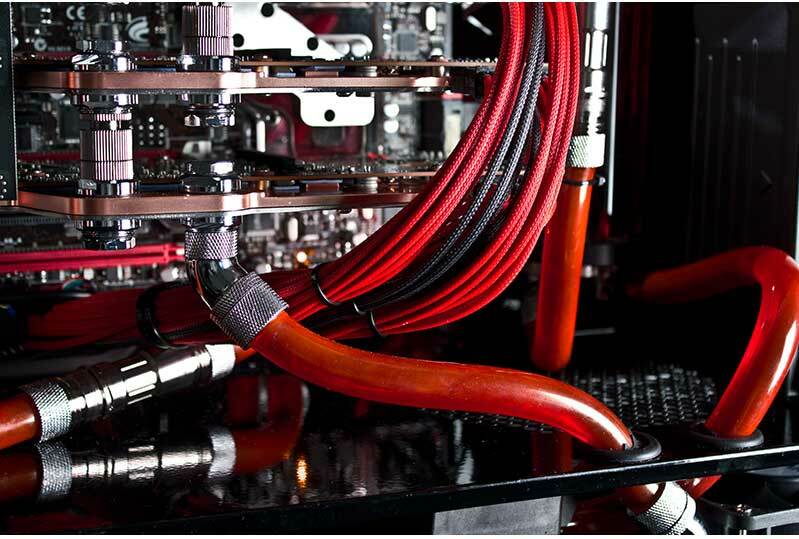 The cooling system also includes a control board that optimizes cooling power and efficiency. 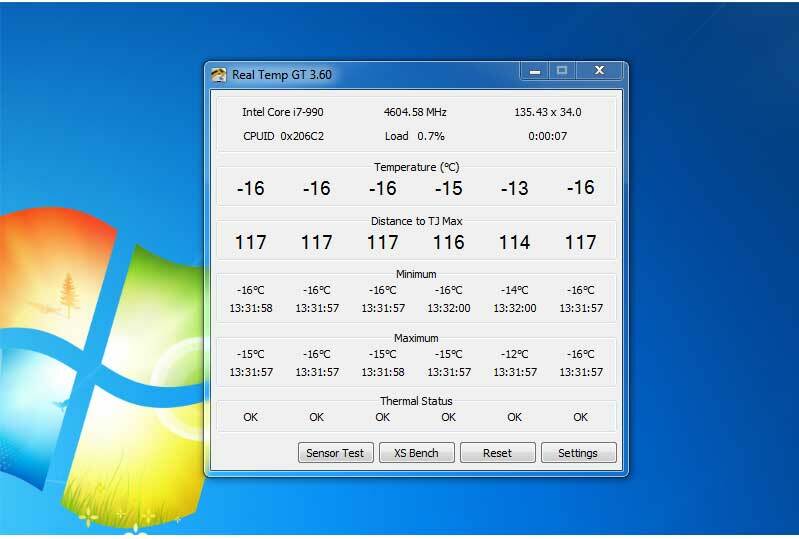 How does -14°C sound on the CPU cores on a six-core Intel processor running at 4.6GHz? You can now achieve record breaking performance with a Digital Storm gaming pc by overclocking the processor to extreme levels while keeping the CPU rock solid stable at below 0°C temperatures. 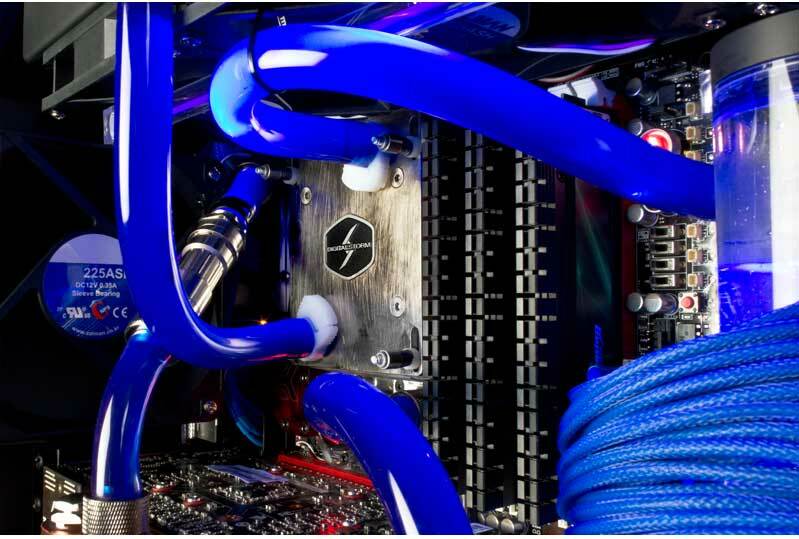 The design of the new Cryo-TEC cooling system is elegantly simple allowing for installation on almost all customized Digital Storm gaming computers. The system requires only a chassis large enough to fit a 360mm liquid cooling radiator to cool the thermo-electric modules. 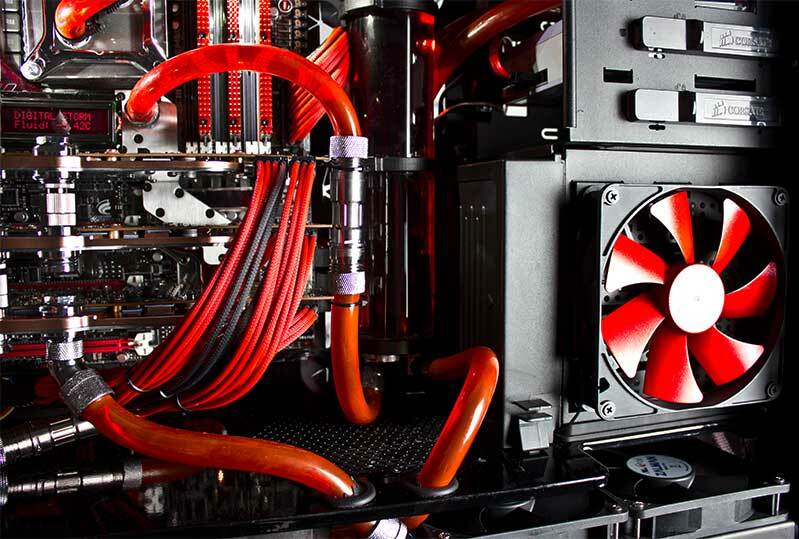 The HailStorm gaming pc fits the Sub-Zero Cryo-TEC System like a glove. 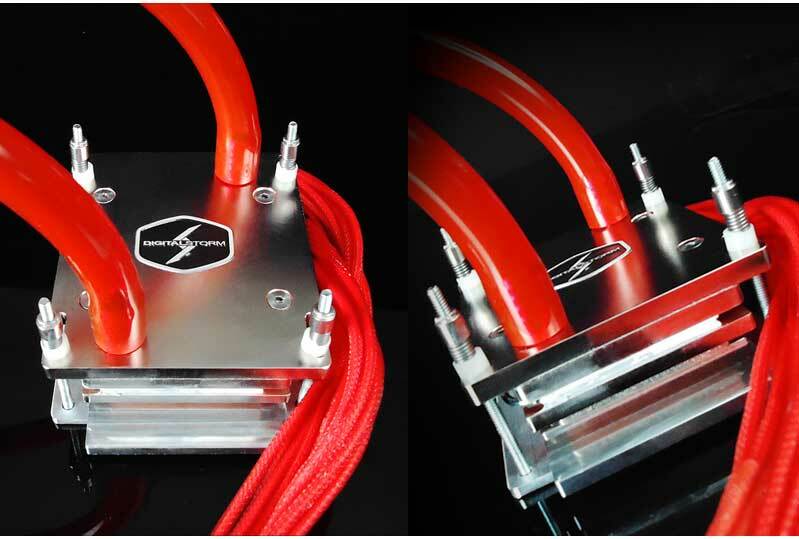 All of the core components of the cooling system can be seamlessly integrated inside the entire chassis. It's truly a work of art which can't be enjoyed in pictures, but, must be experienced in person. A custom designed LCD screen reflects the actual temperature of the Cryo-TEC system that is directly contacting the CPU. Enjoy the beautiful craftsmanship that gets put into each and every one of our signature Sub-Zero Cryo-TEC Systems. 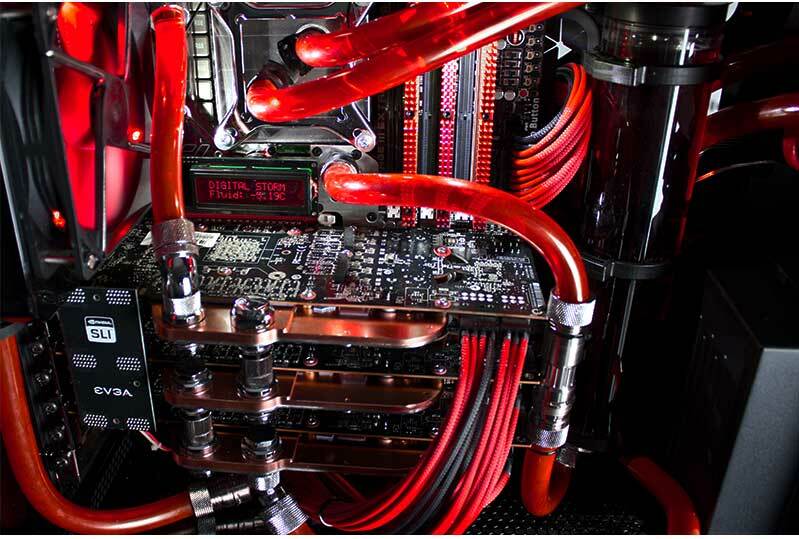 A top-end gaming desktop such as this one would not be complete unless we coupled it with an array of high-end 45° angle compression fittings and quick disconnect units. A massive cylindrical reservoir tank is mounted near the motherboard tray. 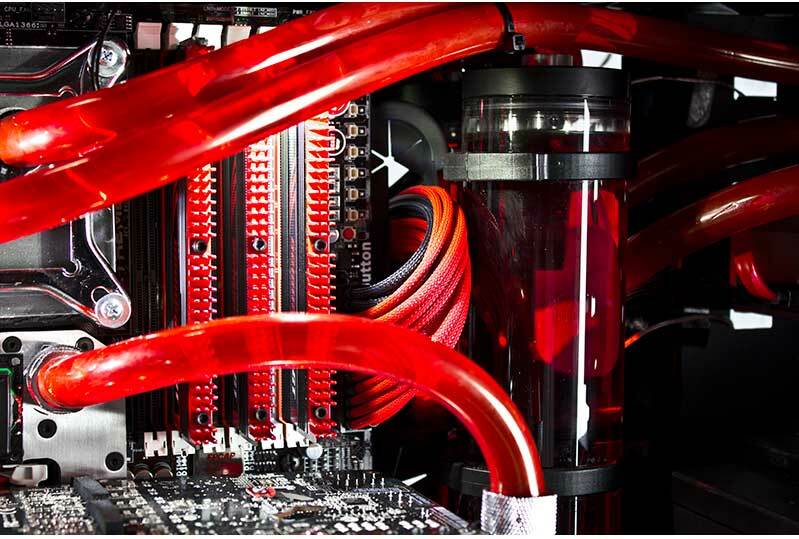 Its sleek high-end eye-candy appeal lets others know that you got some serious hardware inside your system. Copyright © 2015 Digital Storm. All Rights Reserved.